This month represents six years of blogging and sharing quality news and insight. 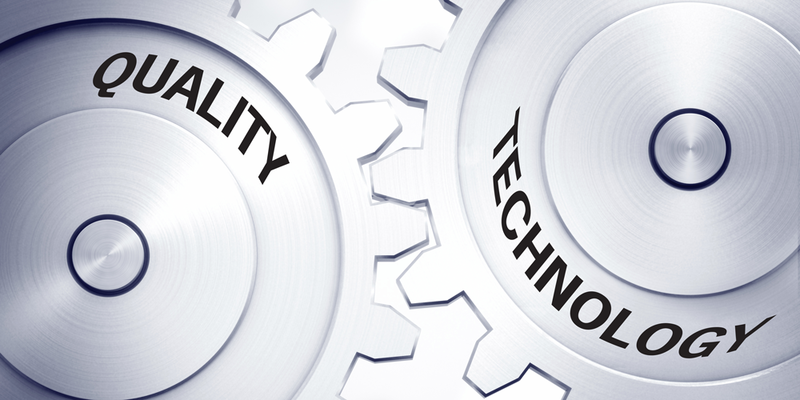 Pro QC has provided QC services for over three decades and has seen the emergence of technology within the industry and the significant advantages organizations have today as a result. 1984: When Pro QC started in 1984, scheduling requests were primarily handled by fax and were hand written. During that time, the cost of international long distance prohibited frequent team communications among regions. Communications were slow, and calls were short. 1996: The Pro QC website went live in 1996. The Wayback Machine is a fun resource for seeing snapshots of websites over time. Pro QC’s website went live as a static page with a list of services and over the years has developed into a value-adding resource for industry professionals, offering example reports, informative videos, white papers, and more. 1998: Digital photos were provided with inspection and audit reports in 1998. Photos provided additional visual details for clients and often avoided having samples sent for additional visual evaluation. 2007: The first quarterly newsletter that Pro QC emailed out was in June of 2007. Pro QC’s clients and partners now had a way of keeping up with the company’s activities and gained access to additional content related to the industry. Today, the quarterly newsletter is distributed to over 7,000 subscribers. 2010: The services database went live in 2010 and allowed clients access to reports anytime, anywhere. This also provided clients with an effective way to transfer large files such as product specifications and/or drawings via Pro QC’s FTP. 2011: Pro QC engaged in social media via Facebook, LinkedIn and Twitter in 2011. This allowed more shared information and added value to clients and others. Social media continues to be a way for us to connect with our clients, learn and give back to the industry. 2012: Pro QC’s clients and/or their partners were able to schedule services online in 2012. 2015: Applicants interested in working with Pro QC must complete a series of hiring and subsequent e-training modules. Virtual training allows us to work with quality professionals in remote areas and ensure professional development among the global team. Online predictive analysis assessments provides additional support for hiring and retention. 2016: Pro QC accepts payments online making solutions more accessible. Pro QC also starts providing video content with audits and/or inspections when requested and permissible. 2017: Today, auditors and inspectors have tablets that can be taken on-site for reporting that saves time and improves the overall output quality. Regional teams have the ability to video conference and screen share anytime, making regular communications more viable and productive. Technology connects us with our clients and partners and continues to serve as a competitive advantage within the marketplace.